The City of Sarnia, at the southern tip of Lake Huron, represents the dividing point between the upper and lower Great Lakes. With a natural harbour on the St. Clair River, the city’s location provides a sheltered port for ship traffic on the Lakes. The convenience of the harbour led to the development of Sarnia as a petrochemical hotbed, an industry that remains important to the area. Also at the western end of Highway 402, the Blue Water Bridge is one of the busiest border crossings into the United States. Opened in 1938 and twinned 59 years later, this crossing is second only to the Ambassador Bridge in Detroit in terms of volume. Sarnia is the largest city on Lake Huron, and its position at the western end of Ontario keeps car ownership a priority, with only a few intercity transportation options. On the plus side, residents enjoy low car insurance prices. The table below shows Sarnia car insurance cost for a sample driver. 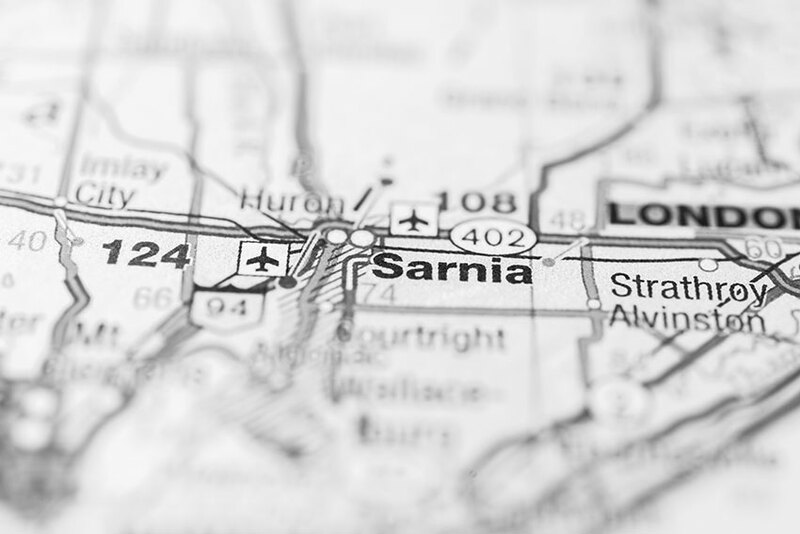 We surveyed the car insurance prices in the city of Sarnia for the purpose of illustrating the range in quotes based on driving record, location, and other criteria. To get a customized quote, enter your postal code above. With already low insurance costs, Sarnia drivers can still save money using smart insurance shopping tips. Understanding how the process works in Ontario helps pinpoint where best to spend and where to save. Ontario’s car insurance system, though highly regulated, allows a great deal of flexibility for insurance companies. Seeking competitive advantage, each company uses its own method to underwrite policies. So while statistics remain the same for each insurer, how these are used differs. With Ontario home to some of the highest insurance rates in Canada, the government is also attempting to relieve the financial pressure. This results in periodic changes to insurance rules. Understanding what these changes mean saves consumers from being under protected. By law, all cars on the road must be registered and insured. Ontario sets a minimum for insurance coverage, as all provinces do. Covering four insurance types, the most important for most drivers are third party liability and accident benefit insurance. Third party liability protects a driver against lawsuits arising from at fault accidents. Statutory coverage requires $200,000, but this may not be sufficient in the case of serious accidents. Settlements exceeding this amount are common. A driver with only the required provincial minimum remains responsible for amounts in excess of insurance coverage. It’s easy to see why many motorists opt for coverage of $1 million. Recent changes to statutory accident benefits create a similar problem, though perhaps not one that might affect as many motorists. In June 2016, the Ontario government redefined catastrophic injury and combined the way certain benefits are paid. While in most cases, accident victims aren’t affected by the changes, certain combinations of benefits reduce. Previously, an insurance company was exposed to $2 million when full payout of these combinations occurred. Now, there is a $1 million cap on the same situation. As with liability coverage, motorists can now purchase additional insurance to restore coverage. Savvy insurance consumers know that discounts are a great way to shave dollars off car insurance premiums. Not everyone knows how to take advantage of the discount options. 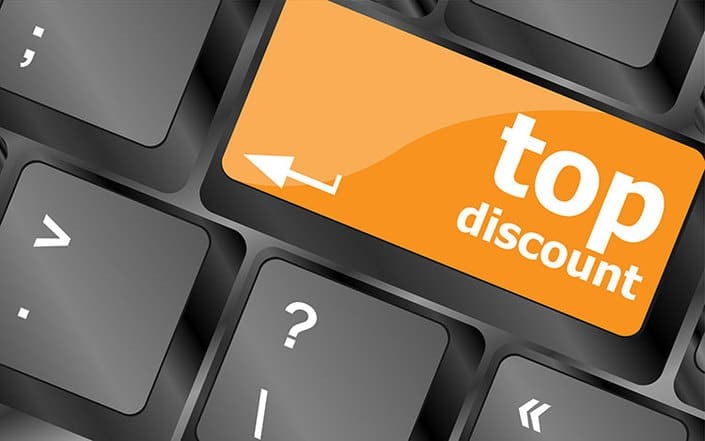 Two key points about discounts are that not all insurance companies offer the same discounts, and also that most companies require a driver to request a discount. These won’t apply automatically, even when your insurer knows you qualify. Insurance companies have many discounts in common. Using winter tires, for example, qualifies you for a discount with many insurers. Other discounts, such as usage-based insurance plans using smart phones or telematic devices, feature with only a few insurers. The key to maximizing the potential for auto insurance discounts is communicating with your company, agent or broker. Ask what’s available, what you need to do to qualify, and, when you do, have the discount applied to your policy. Check for new discounts and qualifications at least annually. Bridge crossing traffic often develops into congestion with substantial delays. Vehicles can back up on the 402, but this is restricted to westbound lanes and doesn’t usually affect non-U.S. bound traffic. Front Street, Christina Street and Indian Road are the main north/south routes with access to the 402. Modeland Road, Highway 40, is the major north/south high volume thoroughfare, connecting the industrial region of south Sarnia with Highway 402. Highway 40 connects in the south to Wallaceburg and Chatham. Highway 22, Exmouth Street in town and London Line outside of town, was formerly the main east/west connector, prior to the completion of Highway 402. Depending on current border crossing times, the quickest route between Sarnia and Windsor uses Interstate 94 through the U.S.
Sarnia is part of the Southwestern Ontario traveller information region information provided by the Ministry of Transportation. Local media outlet BlackburnNews.com maintains Sarnia information including gas prices and closures. Lambton County posts maintenance and road closure details on its website. The City of Sarnia also lists road work and service interruptions online. The Weather Network provides short and long term weather forecasts for Sarnia and surrounding area. The Blue Water Bridge into Sarnia, connecting to the 402, 401, 403 and Queen Elizabeth Way to Lewiston, Niagara Falls or Fort Erie, is one of the shortest and fastest routes connecting New England with the north-central states. The need for Highway 402 grew after Interstate 94 connected to the bridge at Port Huron. Two years after the 402 opened a corridor to Highway 401, Interstate 69 also connected to the Blue Water Bridge on the U.S. side. Planning for Highway 402 dates back to 1938, when the bridge opened. Numbered in 1953 with the first of the 400 series highways, it took 29 years to complete the route between the bridge and the 401. Sarnia drivers can use Ratelab’s car insurance calculator to find the lowest prices on the auto insurance policy best for them. Simply enter your home postal code below to start.